We are Shaw Family Farms. Here at the farm, we pride ourselves on feeding and raising our animals ethically. All our animals receive a high-quality diet that even some humans would be jealous of! Our free-range pasture raised meat is 100% natural, GMO-free, and free of antibiotics and hormones. In fact, all of our animals are grass fed and raised on pasture from farrow to finish. 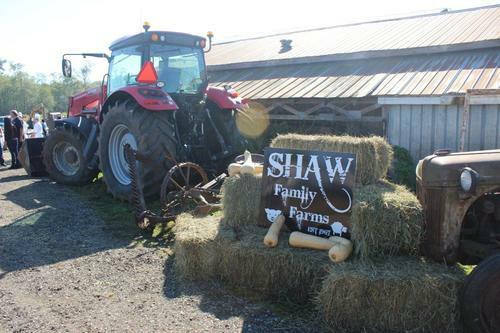 Want to visit the farm and meet the Shaw Family Farm farmers? Just send us a message through our contact page and we can set up a tour! We love farming and we love what we do. Our people, our process, and our animals set us a part from the rest and we can’t wait to do business with you! Local. Free Range. Pasture Raised. We are the largest farm, from Hope to Squamish, raising free range pastured raised pigs. We are a local family owned business and couldn't be more proud about it. Learn more about who we are and how we got our start! Don't just trust us, see what our community has to say about our products! Shop our products and see why you should buy your meat at Shaw Family Farms!